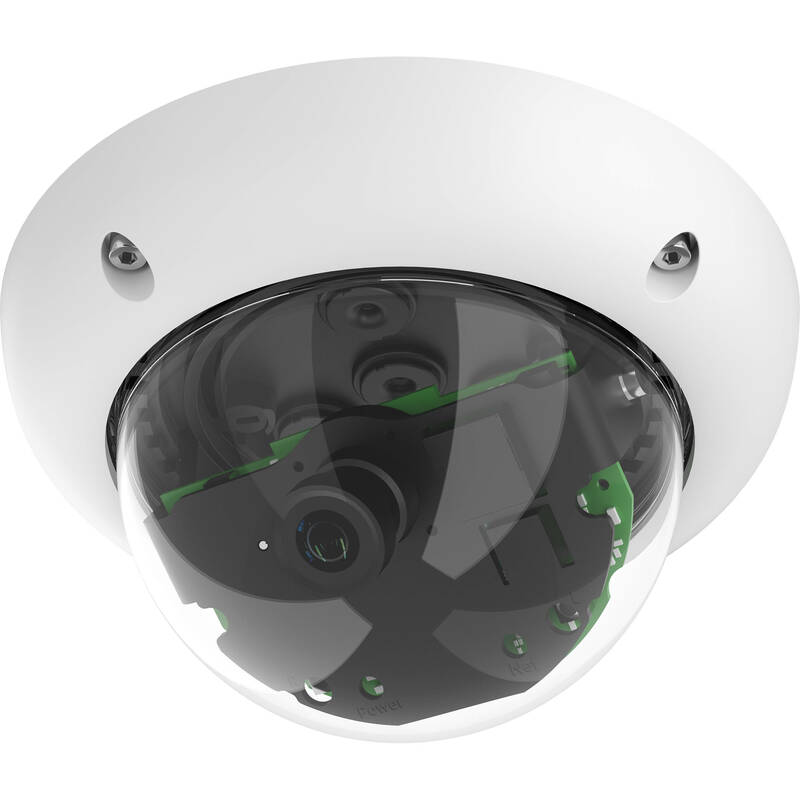 The D25 6MP Night Outdoor Network Dome Camera from MOBOTIX features a 6MP 1/1.8" CMOS night sensor to capture 3072 x 2048 resolution video at up to 8 fps when used with a compatible lens (available separately). A 4GB microSD card is included for onboard storage. This IP65-rated camera is suitable for outdoor use and operates on a single Ethernet cable via PoE for ease of installation. Easily access settings and live view from a web browser from Windows and Mac computers, or download the free MOBOTIX app for iOS devices. Integrated in the firmware are functions such as motion detection and alarm notifications via video IP telephony.